Let your customers buy products online and pick up them in store. 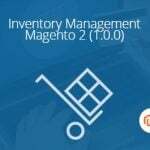 Although the default Magento 2 does not provide this feature, you can easily implement it with the help of click & collect or store pickup Magento 2 modules. 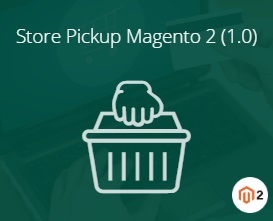 And below, we describe one of the most reliable new solutions – the Magestore Store Pickup Magento 2 extension. But what are the benefits of the store pickup shipping method? First of all, it creates a winning situation for both customers and merchants: Customers don’t have to pay a shipment fee, while merchants don’t have to deal with shipping. At the same time, customers can choose the most suitable location to pick up the order at the most convenient time. Sounds great, so let’s proceed to the extension’s features. After installing the Magestore Store Pickup Magento 2 extension, you will enhance the default checkout. You customers will be able to choose a new free shipping method for multiple stores. Furthermore, it is possible to show all pickup locations (your offline stores) on a Google map in the shipping method section. The section provides a selector that simplifies discovering the nearest location, but it is still possible to choose the most suitable one on a map. Note that stores from the selector can be sorted by distance. When a customer selects the most preferable location, its address can be automatically used as the shipping address in various documents (orders, invoices, etc). As for pickup date and time they can be also selected, but you can disable store’s days off and notify customers when a holiday is chosen as a shipping date. 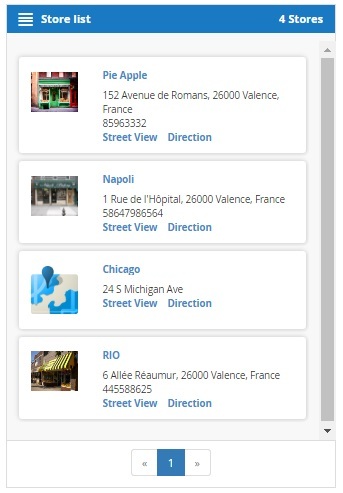 As for a store listing page, the Magestore Store Pickup Magento 2 module provides the ability to display all stores with detailed information (even on a map), allows store search by various parameters (name, city, country, etc), and lets customers to contact managers via the contact form. 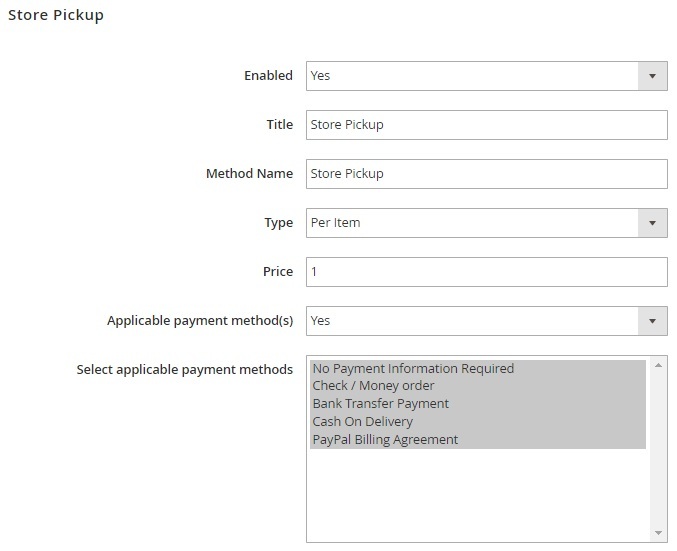 When the checkout is complete, customers can both view and print order with the pick-up store location. Now, let’s shed light on core admin features. Magestore Store Pickup for Magento 2 is easy to configure. New stores can be added via a CSV file or manually. The extension allows to add a detailed information related to each store. Store coordinates can be received with the help of Google API. To reset a store position, it is only necessary to click a point on a Google map. As for store’s pin colors, they can be customized from the backend as well. 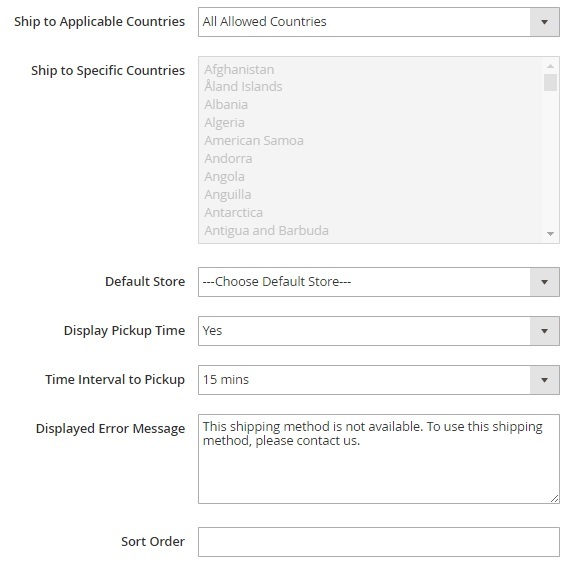 The Store Pickup shipping method can be used when admins create orders from the backend. As for opening time management, the Magestore Store Pickup module provides lots of convenient options. Create a Monday time schedule and apply it to other dais. Set holidays for a period of time and set them for multiple stores simultaneously or select special days with special working schedule for selected stores. Besides, it is possible to set a top link to a page with offline stores, rewrite store URLs making them more SEO friendly, enable/disable various search parameters and frontend elements, choose distance in miles or kilometers, etc. All offline stores are gathered in a grid. You can search for stores by keywords or find them after applying sorting. There is a dropdown with mass actions, so you can enable, disable, delete, or edit multiple stores simultaneously. Another important feature is the ability to show/hide columns. As a result, you can create a grid view that completely serves your ecommerce needs. This new view can be saved for further usage. Data on your offline stores can be exported. While editing a store, you have to deal with 7 tabs of settings: General Information, Google Map Location, Image Gallery, Store’s Schedule, Store’s Tags, Store’s Holidays, and Store’s Special Days. 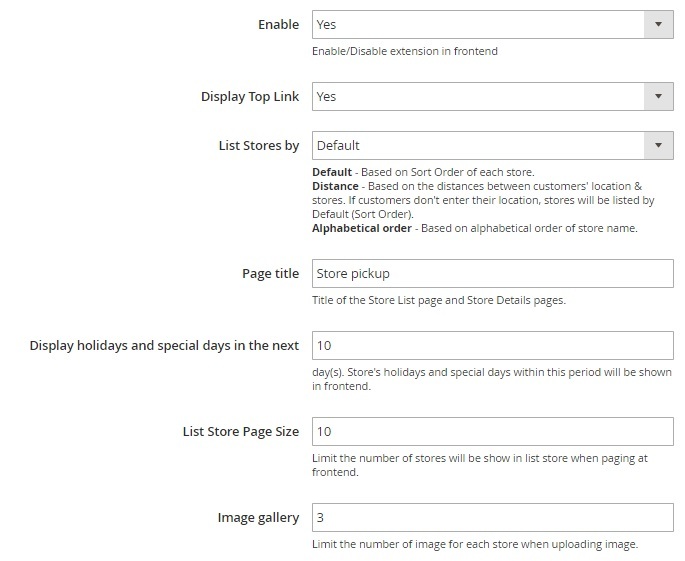 In General Information, you specify a store name, add a description, choose status, add a store link, and set a sort order. Next, specify contact information: phone, email, and fax. 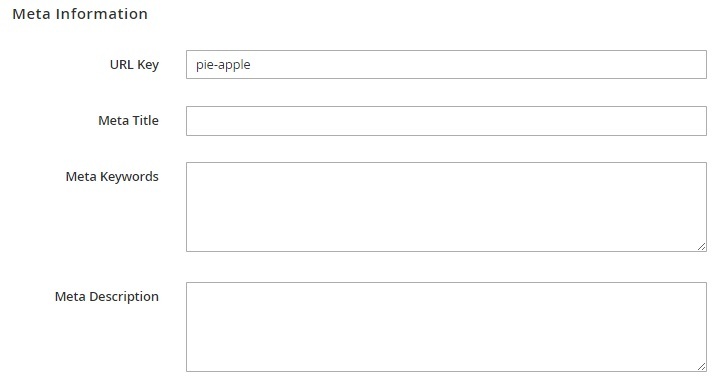 Besides, you can add meta information: URL Key, Meta Title, Meta Keywords, and Meta Description. 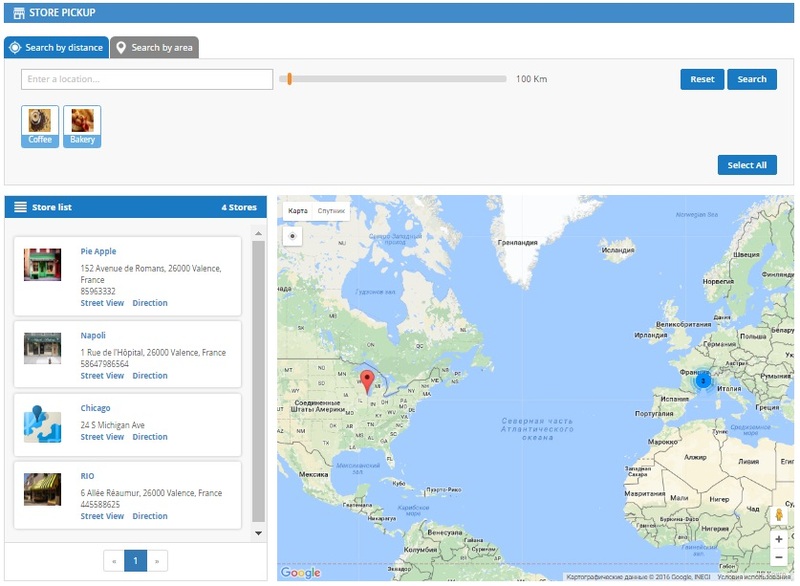 The Google Map Location tab requires the following data to be specified: Address, City, Zip Code, Country, State/Province, Latitude, Longitude, and Zoom Level. It is also possible to add a custom marker icon here. 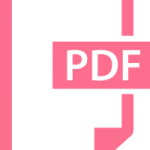 Note that it’s recommended size is 400×600 px. Besides, you can enter a location to search on a map. 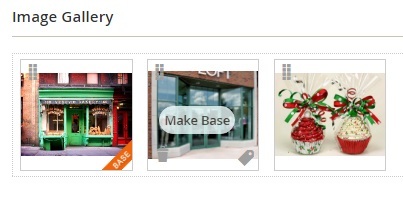 In the Image Gallery tab, you can choose a base image for the offline location. As for Store’s Schedule, you can choose a previously created schedule here (we explore the schedule section further in this post). And this is a tab with store tags. It is also possible hide chosen tags here. The same is about Store’s Holidays and Special Days. The manage Tags screen provides the same functionality as Manage Stores except CSV import. As for mass actions, they let you edit or delete tags. 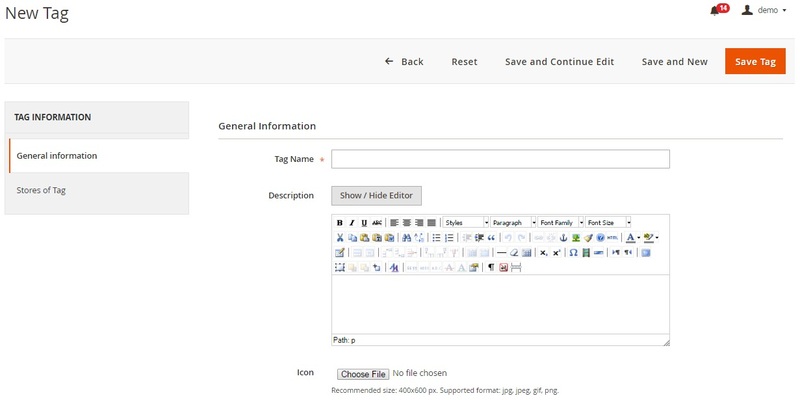 While adding a new tag, specify its name, add a description, and upload an icon. Next, choose stores you’d like to add the tag to. 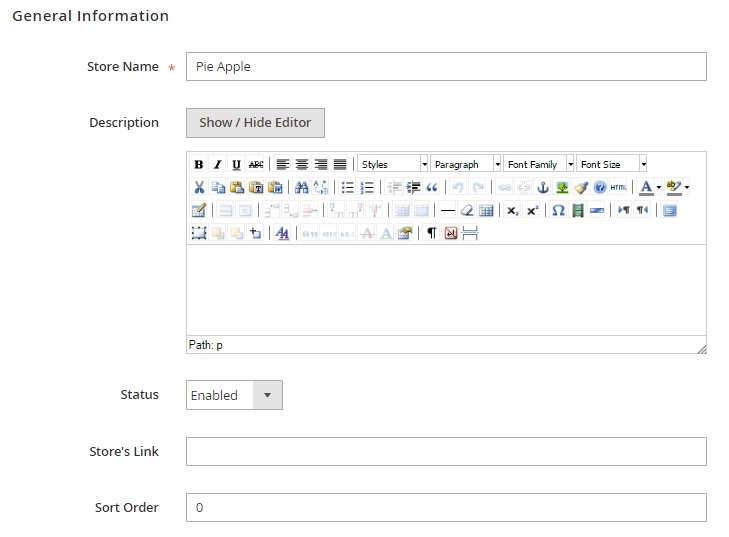 On the Manage Schedule page, the Magestore Store Pickup Magento 2 extension provides standard functionality: you can apply mass actions (edit or delete), show/hide columns, save grid views, and export schedules. The grid itself shows each schedule and day statuses (open/closed), besides, you can add working time, but then the grid becomes too overwhelmed. While adding a new schedule, specify its name and create a timetable for Monday: Monday Status, Open Time, Open Break Time, Close Break Time, and Close Time. Next, you can apply this timetable to all days. 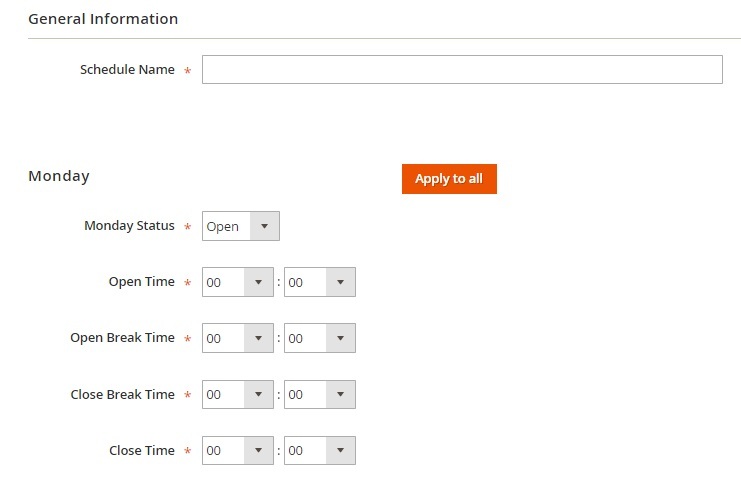 On the Stores of Schedule tab, select stores to apply this schedule to. 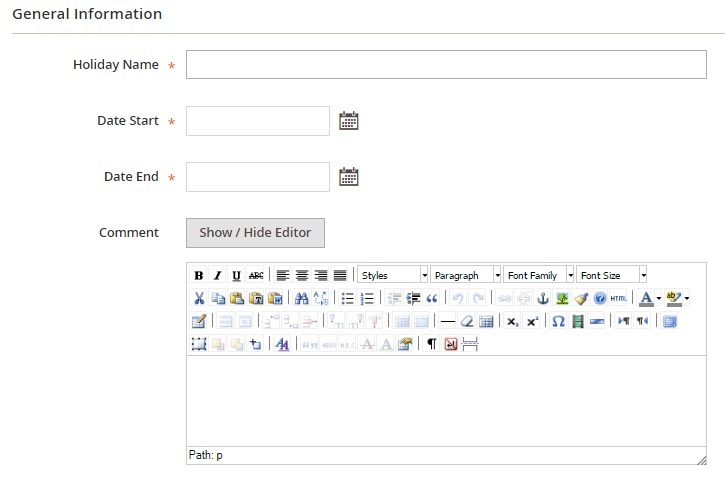 The Manage Holiday grid offers the already mentioned functionality. While adding a new holiday, specify its name and set time frames. Optionally, you can add a comment. Next, choose stores to apply the holiday to. All special days – days with special working time – are gathered in a grid as well. You can apply mass actions, customize the grid and save custom views, and export data. While adding a new special days, enter its name, choose dates for start and end, select open and close time, and add comments. You can apply the new special day to all offline stores. Note that the extension settings are separated between two places. First of all, you get a new section in Shipping Methods. 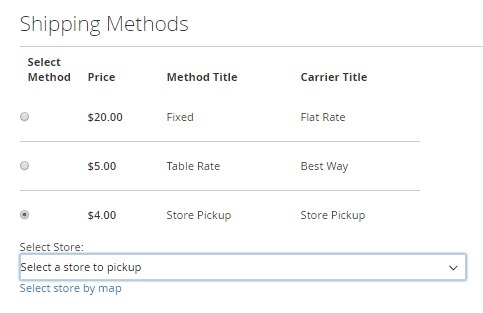 Here, you enable/disable the Store Pickup shipping method, specify its title and a method name, choose type (per item, per order, or none), set price, activate applicable payment methods and select them. Next, you choose countries where this method is supported. It is possible to allow all countries or select specific ones. Then, you can select a default pickup store, display pickup time, and time interval to pickup, as well as add error message. It is also possible to add a sort order here. As for specific settings, they are divided into 3 sections: General, Service API, and Store Search. 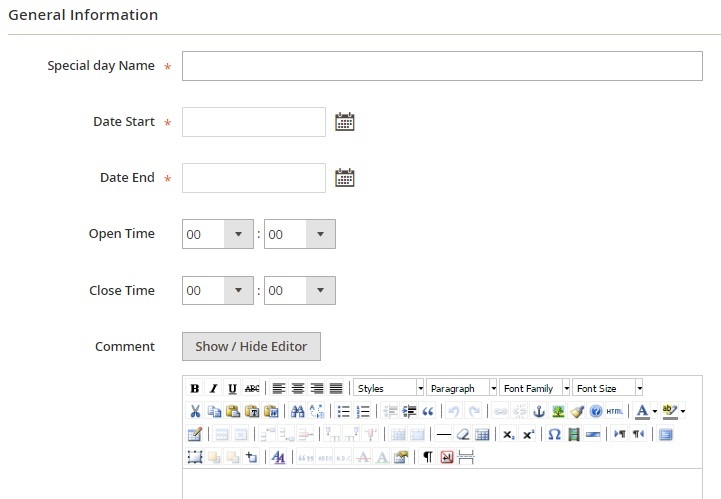 The first one allows you to enable/disable the module in the frontend, activate top links, choose a listing method (default – based on a specified sort order, distance, and alphabetical order), specify a page title, choose a period to display holidays and specific days, as well as limit a store page list size and a gallery size. In Service API, you specify Google Map API key, allow Facebook comments (this feature requires Facebook API key), and chose locale. 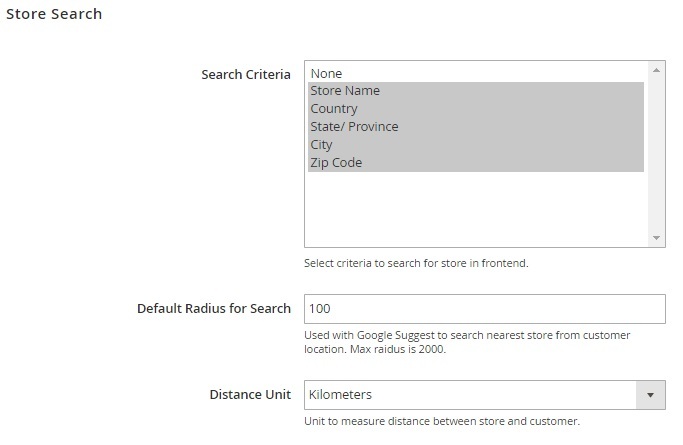 As for the Store Search section, it allows you to choose search criteria, set a default search radius, and choose distance unit. 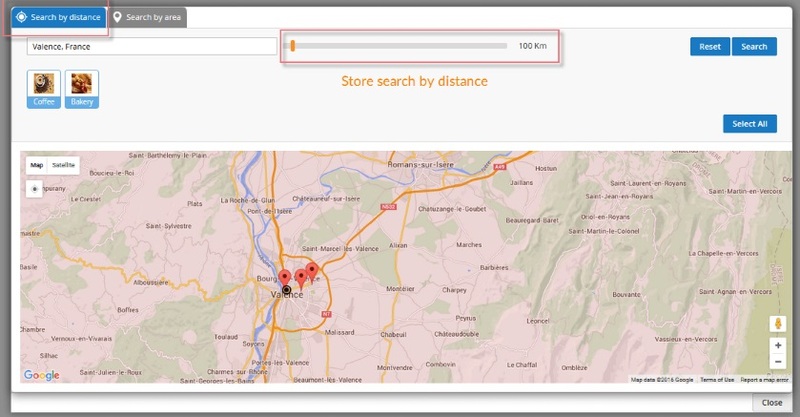 You can search by distance: enter a location and specify a radius within which you need a store to pick up an order. 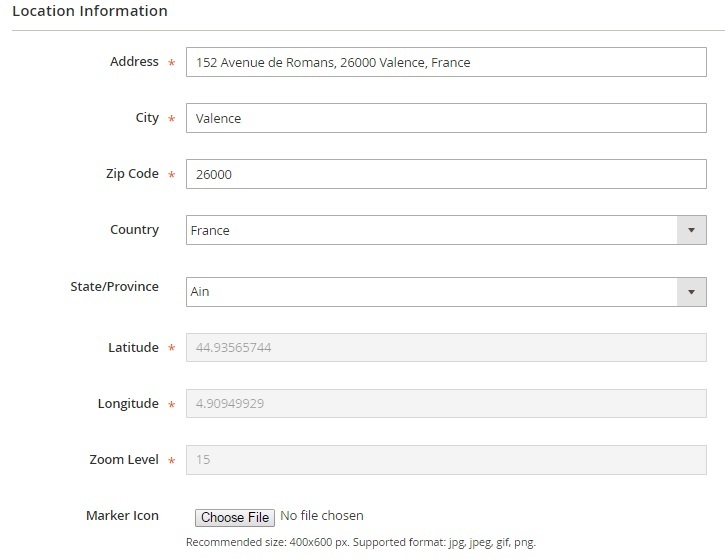 While searching by area, select country and specify a store name, state/province, city, and zip code. Besides, you can choose a pickup location from a store list. Each time you select a new store, it is displayed on a map. Store information is displayed on a map. or on a separate popup window. And this is the top link to the page with offline locations. As you can see, the Magestore Store Pickup Magento 2 extension combines the functionality of two types of modules: in-store pickup and store locator. Your customers not only get a new shipping method, but can also easily find your offline outlets. The module is easy to configure and use, so it will become a great addition to the ecommerce experience you already offer. As for price, the Magestore Store Pickup Magento 2 module costs $299. 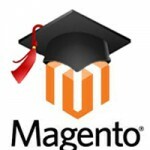 It’s Magento 1 predecessor can be purchased for just $149.